The new generation of a Kingston best-seller is here! 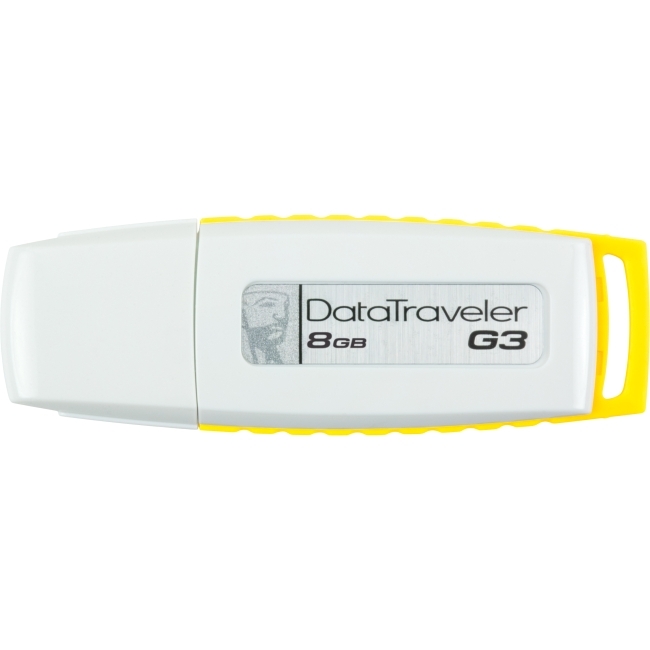 With capacities up to 32GB, the reliable DataTraveler Generation 3 (G3) is ideal for your important documents, music, video clips and favorite photos that can be stored and retrieved in a flash. I got this from a return from a 16gb drive I purchased over 4 years ago. The old drive would always write 18-22 mb/s this is the replacement and it is soooo slow. Old drive died after I used it as xbox storage. Looks nice, it does in fact work. Write speeds are dreadfully slow! Between 2-4mb/s.... It always start super fast on transfer 20+ mb/s then after 3 seconds its down to 2-4mb. Huge disappointment. Camera has great night vision that really works when lights are turned off. The night vision turns off for some reason but you can create a macro with any macro program to have the night vision turned back on when you need it. Night vision turns off every 5 minutes for me. It is very good product for me. It's reliable and fast enough. I have bought it some years ago and since I use it successfully nowadays. This is definitely the drive of choice for making boot USBs. Size 4GB is plenty for most DVDs and speed is good. if you have a larger DVD, get the 8GB version of this drive. It works great for boot DVDs and it's compatible with just about everything. I've had problems with other types of USB flash drives making boot DVDs... This flash drive has never given me any problems and it's fast. Size is quite large... It's a mixed bag... Would be nice if there were a micro version of this same USB flash drive. Its a great product if you are looking to transfer large files or play movies from a usb-dock dvd player. The price was right and Mwave sent it quickly. Lots of space, Fastest USB drive I own, trustworthy company, fairly priced, and its not loaded with malware like other USB drives. I highly recommend this drive. Color is Yellow, but I can live with that. Great and reliable jump usb drive. Love this Kingston drive. It has not let me down. Use it to transport documents or even to print out pictures at the local Walgreens or CVS. Put W7 pro on it, since I have a computer with no dvd drive. Plus it gets windows loaded up and installed faster than a DVD and easier to keep handy. Works great so far. I really needed a 2nd USB drive for installing Windows on my PCs since my other one is used for other stuff. Great price too. Will most likely get a 3d one to put different stuff on it. Faster than my 16GB OCZ drive. Love the yellow and white theme. The body is wide and since most USB ports are close together, I often have to remove other usb devices to allow this to seat properly in the port. I can see why this flash drive has an excellent customer rating. 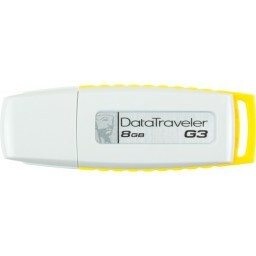 I bought many flash drives and they were flimsy despite working very well. This Kingston flash drive is very durable. I don't have to be so cautious with it as other flash drives. Good storage. Very easy to use. Most of all it is a very solid flash drive. Feels very durable.